The Nibelung Ballad tells the story from Richard Wagner's music drama, The Ring of the Nibelung, in illustrated verse form. "The Ring", which was first performed in 1876, comprises four full-length operas, The Rhinegold, The Valkyrie, Siegfried and The Twilight of the Gods, and is regarded as one of the greatest musical and dramatic masterpieces of all time. Derived from Nordic mythology, The Ring charts the history of the world from beginning to end. It is an epic story of Gods, dwarves and humans battling to fulfil their respective destinies, in which the evil lusts for power and wealth are ultimately redeemed through human love. In the Nibelung Ballad, Richard Morris (author) and his daughter Hatty Morris (illustrator) set out this immense and complex story in a concentrated form, which is attractive to both ear and eye and thus easy to assimilate. 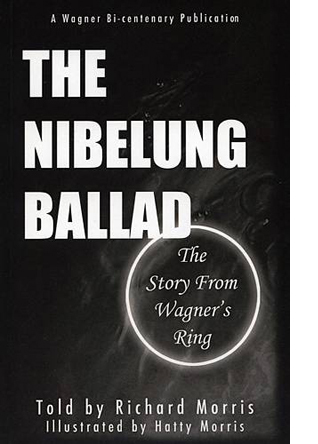 The Nibelung Ballad is invaluable both to refresh the memories of those already familiar with The Ring and to introduce it to all those who are approaching this masterpiece for the first time.